a weekend of Fun and Play surrounded by the botanical garden of The Land Eco Village! You can expect Standing & L Base Acro Workshops, Camping, Bon Fires, Music, Food & of course lots of jam time! Putting in a collective 10+ years of AcroYoga and Acrobatic experience, our team of 5 dedicated teachers are here to ensure your weekend is jam packed with Acro, community, and above all else - fun! This workshop is a great option for you if you have never done acroyoga, or if you would like to solidify your foundational skills. We will be covering the basics of L-base poses and transitions. Take your practice from the earth to the air with this all levels friendly workshop! We will practice our poses and breathing technique as individuals on the ground with a Vinyasa flow. Once our connection is established, we will prepare to take flight with ease as we move through our positions in a partnership through the air! This class is a mix of fun and challenging entries to counterbalancing skills. Students will learn how to run and jump into Thigh Stand, Reverse Thigh Stand, and Flag, as well as flowing entries into standing counter balances skills. Lose your fear of heights with beginner standing level acro. This class will focus on foundational standing acro skills. Hopefully by the end of class we can all take a jog in two-high. Prerequisites: stepping up onto a box and small fear of heights. This workshop will feel closer to a yin yoga class: long, slow movements focused on alignment and engaging with your partner. And like a traditional yoga class, we will all move together. As a group we will move through beginner, L-based postures with the intention of longer, intentional holds. Slowing down the movements make this an intermediate AcroYoga experience. Preferable pre-reqs: Comfortable in bird (without hands) and straddle throne. If you think 2 people acro is fun wait until you add a third to the mix! We will flow magically into L base and standing trios and will even play with some pass the flyer sure to excite and amaze even the most discerning acrobats! This is an all levels class as it is buildable and modifications will be shown throughout. Learn how to be a tight, tiny and engaged flyer no matter your size. Grow canes for arms and lock out those ankles. This class will grow grow the harmonious balance between feet and hands. Perfect class to take if you are planning on learning russian rolls or standing foot to hand. Daniel will be teaching a long flow that starts and ends in the same position and has a great variety of transitions which makes it very fun to fly and base. Learn how to create lightness and control in flight! Pops launch the flyer into the air keeping 2 points of contact, either hands or feet. In this class, bases will learn proper timing and technique to send flyers skyward safely and gently. Flyers will learn handstand and tumbling skills that create control and precision mid flight. The content will be a variety of popping skills that invert, twist, and float! A Russian Roll is a moving foot to hand skill that always awes an audience. Scott will break down each movement of the roll to create a solid and smooth flow. Come one, come all to your intermediate transitional wacky weirdo shoulder step what's going on class and learn some transtions to anywhere! We will learn about weight balances and how to transition between whatever you can think you do! Pre Reqs are Cart wheel, Star and Goofy Star! Aaron Lind has offered uplifting, educational, and empowering acro experiences consistently for over 11 years across North America, Mexico, Canada, Europe, and Asia. He has not taught on Antarctica (yet!). He offers classes, workshops, weekend intensives, training retreats, a 90 hour immersion system, and a 200 hour teaching mentorship course for those interested in leading acrobatics classes. Aaron’s teaching philosophy is that through progressive training and attention to detail at a fundamental level, challenging skills become accessible, aesthetic, efficient, safer, and more fun! Aaron’s mission in structuring events is to offer a balance of discipline and play. He strives to teach progressive, analytical, and method-based teaching with playful, fun, and lighthearted activities and themes. Aaron believes partner acrobatics is a powerful tool for self discovery and empowerment through creative play, dedicated physical training and healthy partnering. 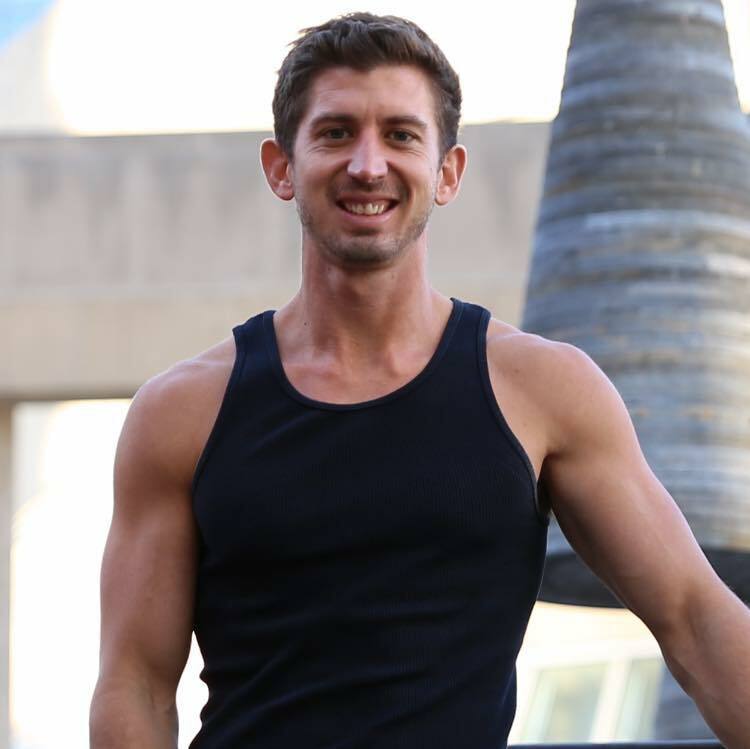 Aaron brings much learning to his classes and is informed by his lifelong study of movement, including partner acrobatics, yoga, and gymnastics. He is is the owner, program designer, and director of Lift School of Acrobatics. Aaron is also a certified level 2 AcroYoga teacher, was a co-founder of Acro Revolution, and is also a staff teacher at Pitch Catch School of Acrobatics. Aaron values his studentship as much as his role as a teacher, and trains with some of the most skilled and sought after coaches in the world. He is excited to share his practice as an avenue for fun, creative, and expressive lifestyle. Scott began his circus journey as a flow artist. He has been spinning fire contact staff for six years and was introduced to acroyoga five years ago. He is a co-founder of Arkansas AcroYoga LLC and has been teaching and performing acroyoga throughout Arkansas for four years. He received his Acro Revolution Teacher certification in 2016. He loves playing with new people and is especially passionate about spotting technique. His primary training focuses are hand to hand, foot to hand, pops and tricky-footed transitions. Daniel Andersen has been doing acro for 2 1/2 years. He is based out of Dallas Tx, where he teaches private 1 on 1 lessons full time as well as 3 hour workshops regularly. He received his Acro Revolution Teacher certification in 2017. He specializes in tricky foot flows that have continuous movement through side Stars and back flys. Hannah trained in gymnastics for 10 years and was delighted to find a new and unique outlet for those skills in AcroYoga. She started practicing acro with Scott in April 2014 on their very first date and has been an instructor of Arkansas AcroYoga in Conway and Little Rock since November 2014. She is also delving deeper into her hand-balancing practice. She and Scott perform partner acrobatics with Arkansas Circus Arts and have begun to experiment with incorporating fire spinning and contact staff into their performances. She became an Acro Revolution certified instructor in 2016. She especially loves hand to hand, whips and pops. Amy has been doing Acro since 2015. She registered for a pops workshop as a birthday present for herself, and was instantly hooked. She performs in the Tulsa area regularly with Flying Lotus Acrobatics. She's an acro hybrid, she loves flying, basing, and every level of trio poses and flows. She recently completed Acro Mastermind Teacher Training with Chelsea and Jason Magness in New Zealand in January of 2019. Sam’s passion in life is for performance and professional acrobatics. Samuel received his Bachelor of Science degree in Theatre and Film in 2014 and since then has made his living as a Performer, Model, Video & Media Specialist, Yoga instructor, Hand Balancer, Aerialist, Acrobatics teacher, Security Guard, Concert Rigger, Contractor and Carpenter. Samuel is a proud co-founder of Arkansas AcroYoga LLC and Samuel Pettit Yoga LLC and is certified in AYFit instruction. Samuel is a traveler, thrill seeker and a herbalist/farmer with his own sustainable off grid tiny home eco village located in Holland, Arkansas. Logan trained cheer for four years and was excited to re-new those skills when she started training acroyoga in April of 2017. She began teaching with Arkansas AcroYoga in August of 2018. She loves trying new things and especially loves flying through flows and standing acro. She is looking forward to graduating from UCA in December of 2019 and pursuing an acro teacher certification. Tami Coulson is a former competitive gymnast and coach from Tulsa, OK. She is certified through Acro Revolution and has been teaching partner acrobatics for over 5 years. She has been featured at Acro Share, AcrOhio, Big Om, I AM festival, and many others. She also performs locally and won the 2017 Tulsa has Talent competition. She teaches all ages, small children to adults and her passion for acro truly shows in her classes. Britta Lanae is a teacher of Vinyasa Yoga and a lover of expression through movement. Her style is upbeat and fun with a down to earth feel. She is well rounded in training of yoga, acroyoga, sports movement, dance, and meditation. Expect to find a centered yet free approach to your yoga practice through her classes. The message behind every class is You are loved, all is well. Leave no trace! Please bring a set of dishes to use for the weekend. Chef-prepared meals will be available for purchase from the kitchens on The Land. There will also be campfires and electricity hookups if you would prefer to cook your own food. Yummy Conway local and chain restaurants are only a 15 minute drive away. Camping is pack in pack out. Leave no trace. Lots of tent spots, first come first serve, and even more spots for hammocking. Four tiny houses are available for weekend rental. First come first serve. There is a limited supply of running water. There are composting toilets. We will provide drinking water. There is one indoor shower and one outdoor shower available for use. Conway hotels and air B&Bs are only a 10-15 drive from the EcoVillage.